KISSopolis: KISS On Japanese TV Show "ZIP!" 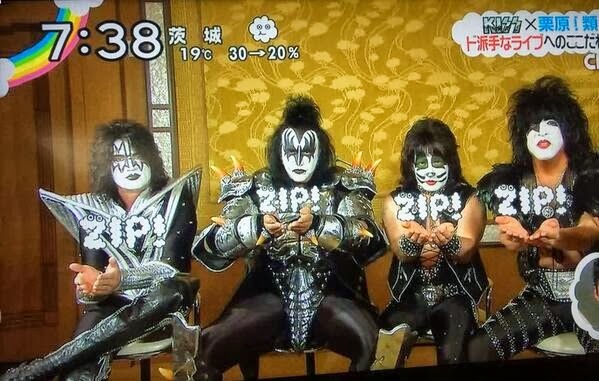 KISS On Japanese TV Show "ZIP!" Here's a photo of KISS on an early morning Japanese TV news program called "ZIP! in Tokyo this week. Thanks Gene, Paul, Tommy, and The KISS Crew for all the cool updates from Japan. We dig em'!